April 16, 2014 marks the passage of 75 years since the last true American Inferno, held on Mount Washington, New Hampshire in the spring of 1939. 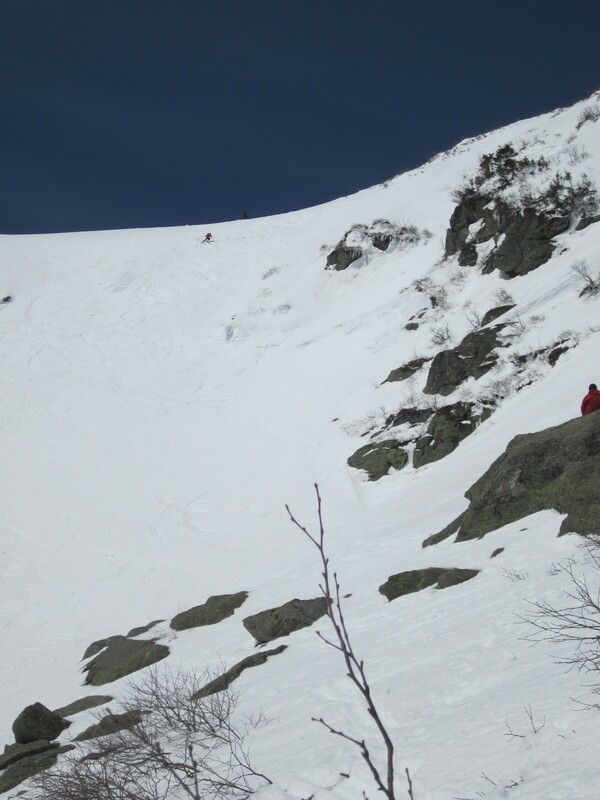 That the relatively insignificant local ski competition is still remembered today is due to the last-second decision of one of the racers, recent Austrian immigrant Toni Matt, to straighten his line slightly above the breakover of the Tuckerman Ravine headwall where the angle steepens. His resulting plunge into the ravine’s bowl carrying speed from above has never been repeated, and still inspires awe. The deep snowpack of the late winter of 1939 led several veteran skiers to propose the top to bottom race a short three weeks before it took place: “”Last week as we stood on Bear Mountain and viewed the complete snow covered beauty of Mt. Washington, there was a hew [sic] and cry from the old guard that we must revive…the old down Mt. Washington Race from Summit to Pinkham Notch,” wrote Alec Bright to the White Mountain National Forest Service supervisor. 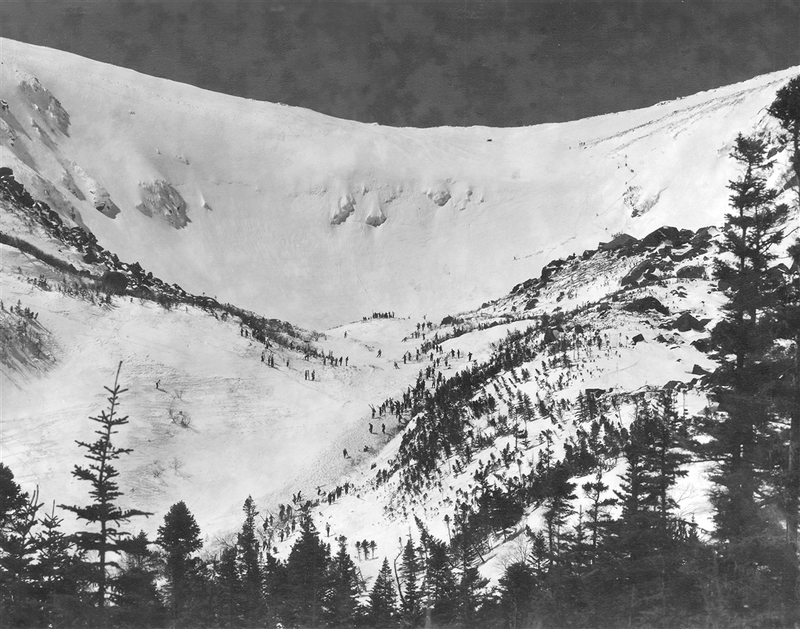 Tuckerman Ravine on April 16, 1939. The Inferno racers skied the Lip, in the center right of the photo. Victor Beaudoin photo. 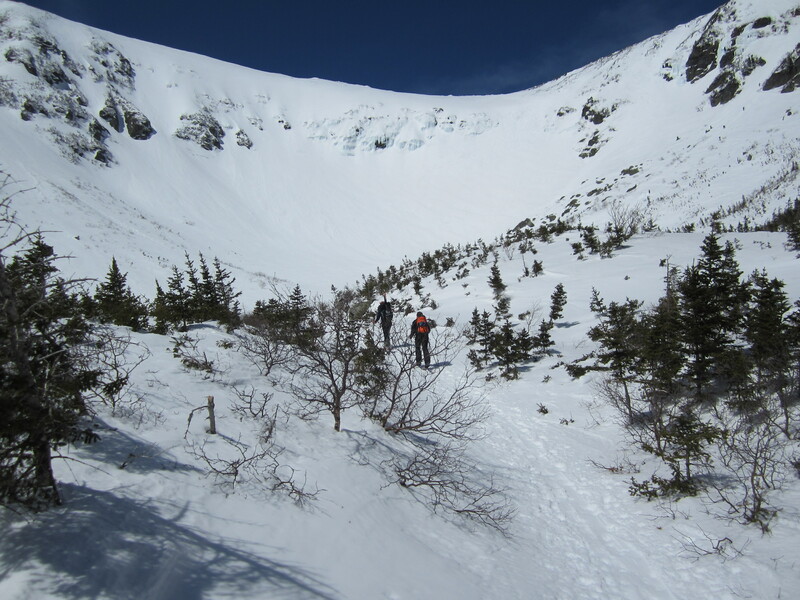 Tuckerman Ravine on April 11, 2014. The Lip is between the ice in the center and the rock band to its right. New England Ski Museum photo. The snow cover on the day of the race was recorded in photographs by Winston Pote, Adrian Bouchard, Victor Beaudoin and others, and comparisons with contemporary snapshots of the same areas in the relatively snowy spring of 2014 reveal just how great the 1939 snowpack was. 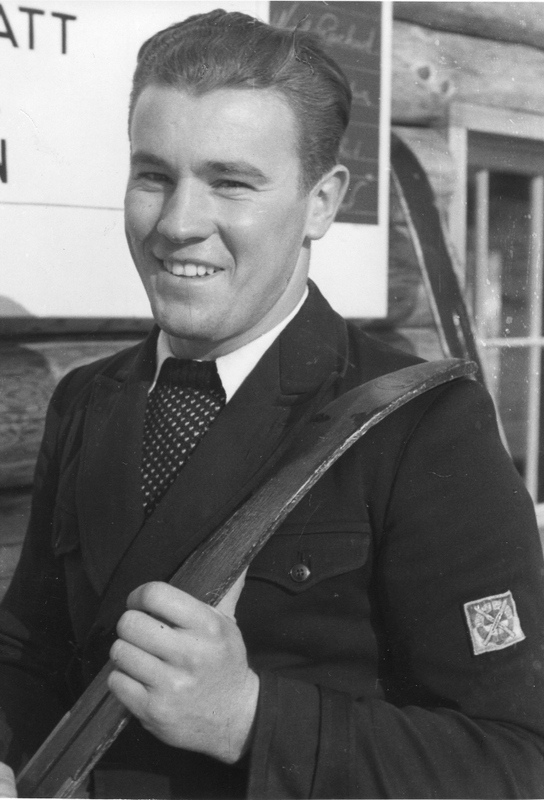 Nearly 50 years later, Matt recalled the moment at a New England Ski Museum event. “I figured maybe making three turns and then running straight. I did make three nice turns…. I went right and then left and right and then said, well, now is the time to straighten them out. So I did and I kept waiting. Finally I dropped over the Lip…. 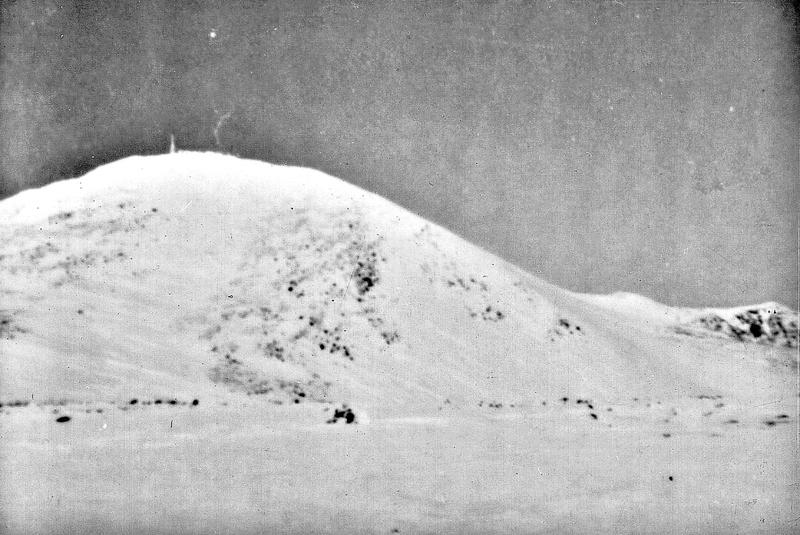 The summit cone of Mount Washington on April 16, 1939. The Inferno came down the snowfield below the summit antenna. Gus Gay photo. 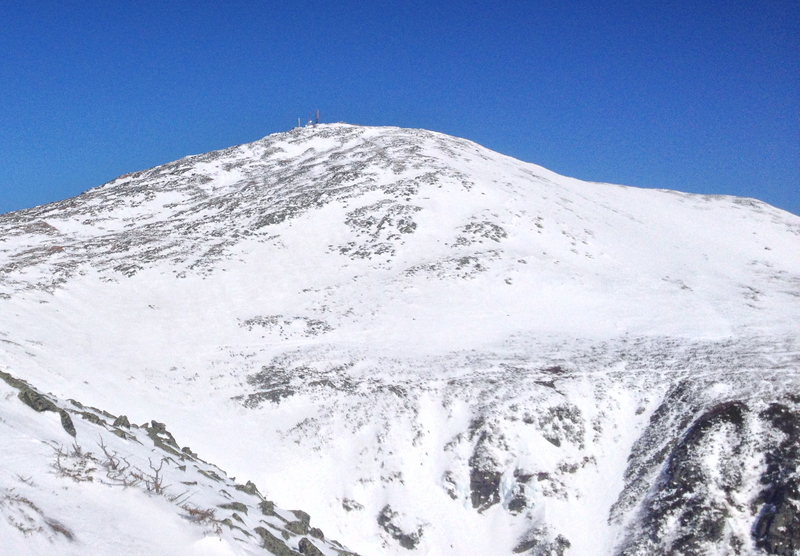 The summit cone from the top of the Duchess, April 12, 2014. Alex Leich photo. 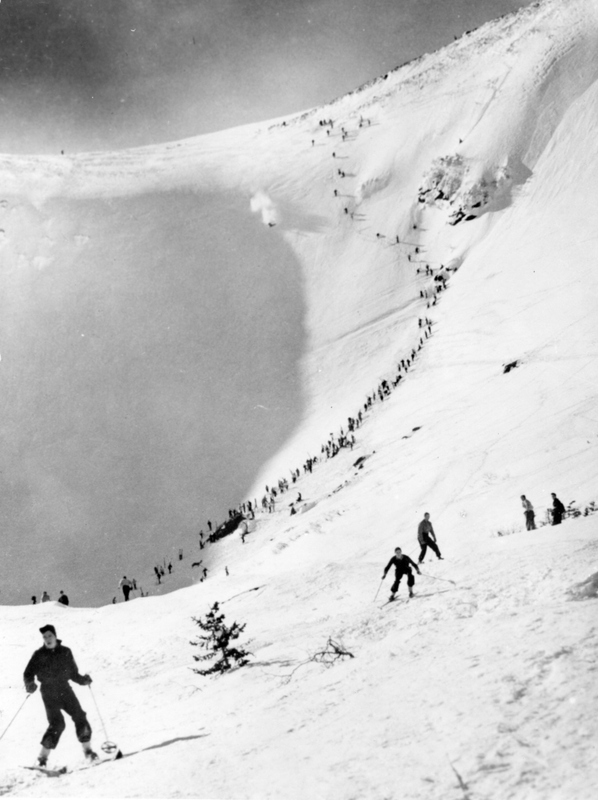 A racer in the 1939 Inferno starts down the Headwall. Winston Pote photo. The Lip on April 11, 2014. Seventy five years on, the romance that Matt recounted at that 1989 meeting in the Eastern Slope Inn has yet to be forgotten.